Well done, Team Internet. After a year of intense activism, we may have finally convinced the Federal Communications Commission to change course and craft clear, bright-line rules to protect the open internet, based on legal authority that will actually survive the inevitable legal challenge. According to an op-ed published today in Wired, in a few weeks the FCC will vote on new rules that start with one crucial step: reversing the FCC’s 2002 decision to treat broadband as an “information service” rather than a “telecommunications service.” This is what’s known as Title II reclassification. According to the highest court to review the question, the rules that we need to preserve the open internet — such as forbidding discrimination against certain applications — require the FCC to treat access providers like “common carriers, ” treatment that can only be applied to telecommunications services. Having chosen to define broadband as an “information service,” the FCC can impose regulations that “promote competition” (good) but it cannot stop providers from giving their friends special access to Internet users (bad). 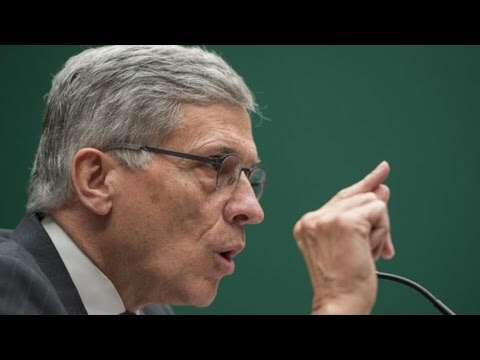 Nonetheless, in May of last year the FCC was still trying to stick with its original decision and, as a result, proposed rules that would actually have undermined the open internet. Millions of internet users spoke out against those rules and called for reclassification. Today, we know our voices were heard. That sounds pretty good, but the devil is always in the details. For example, will throttling be acceptable if ISPs claim it is being used to target copyright infringement? We’ll also want more details about the so-called “general conduct rule” that, Chairman Wheeler claims, “can be used to stop new and novel threats to the internet.” While this flexible language may mean that we don’t have to mobilize millions of Internet users every time we need the FCC to address new threats, a “general conduct rule” could be abused by a future FCC. We will be watching this one closely. As a practical matter, that likely means he will forbear from imposing many of the provisions in Title II that were developed for telephone service. Most of those rules just don’t make sense when we’re talking about Internet infrastructure. For example, there are rules about obscene phone calls, rate schedules, telephone operator services, carrier reporting requirements, etc., that could lead to a host of new problems if misapplied to our Internet. Forbearance is how we help ensure the FCC does what is necessary – and no more. Today, we are celebrating. Chairman Wheeler’s announcement signals that the FCC is, at long last, making real progress on net neutrality. But the battle is not over. We need to ensure that the FCC rules will actually do what is needed to protect the open internet — and no more.